The Church on the Hill ... nourished by the Holy Spirit in Word and Sacrament ... serving the spiritual needs of those who live and visit here. 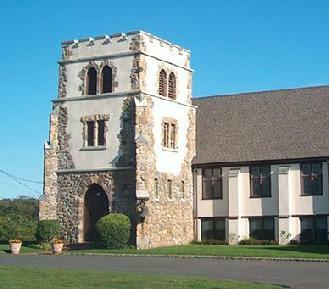 Located at the end of Long Island in the seaside community of Montauk, New York, the Montauk Community Church has been reaching out to all members of the community with God's message of love and redemption since 1928. We are a community of faith who seek to hear God's word. Affiliated with the Presbyterian Church USA, but welcoming to Christians of all traditions, we are a true community church that reaches out to the whole Montauk Community. 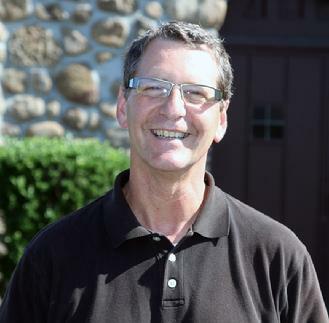 As the only Protestant church in this small town at the end of Long Island we are comprised of members from many traditions, and welcome all to our worship services, youth programs, events, and to share in our mission work. We welcome all at our worship services held on Sundays at 10am. Greetings from the Montauk Community Church, a small, vibrant community of faith on the beautiful east end of Long Island. Though rooted in, and organized around, the Presbyterian tradition, we have embraced an ecumenical vision since our founding in 1928. Our members come from a rich diversity of religious backgrounds, yet we remain centered in a common desire to experience and share the love in God in Jesus Christ in relationship with one another and the world around us. When we include �Community� in our name, we do so with both an inward and outward orientation. We strive to be a caring congregation which celebrates together during times of joy and stands with one another in the midst of struggle. We seek to embody Jesus� exhortation to love one another as we have first been loved. But from our beginnings, our focus has also looked beyond our own doors. We are a church for the whole Montauk community, seeking to be a positive and grace-filled presence among our neighbors and in partnership with the other faith communities of Montauk. So, whether you are new in town and looking for a church to call home or are just visiting for a short while and are interested in a welcoming place to worship, we invite you to join us on Sunday morning. We worship at 10:00am and enjoy a wonderful time of refreshments and fellowship afterward. We love to have children in our midst and we provide opportunities for their faith to be nurtured each Sunday. There are a host of other activities taking place each week at the church, including our famous Saturday Rummage Sale, the annual Christmas Fair, community Blood Drives, hosting a Spanish language congregation, and numerous local groups such as English and Spanish language AA, Al Anon, PTA, and others. I invite you to look through our website for more detailed information. Don�t hesitate to contact me if you would like more information about Montauk Community Church. I am glad you found your way to our website. Should you find your way to our doors, know that you will be met with open arms. I hope to see you in worship with us soon. Interested in sharing your time and talents with our youth? Become a Sunday school leader !! or Pastor Bill 507-993-8876 for more information.